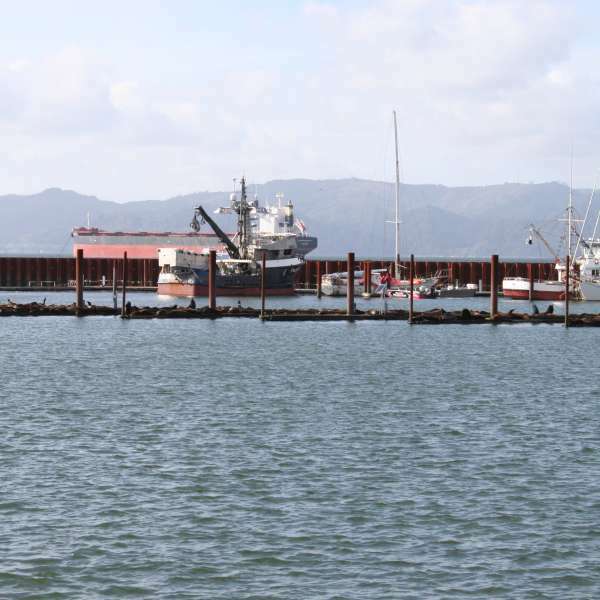 A demonstration dock deterrence system was installed on P Float of the Port of Astoria East Mooring Basin in the summer of 2016. 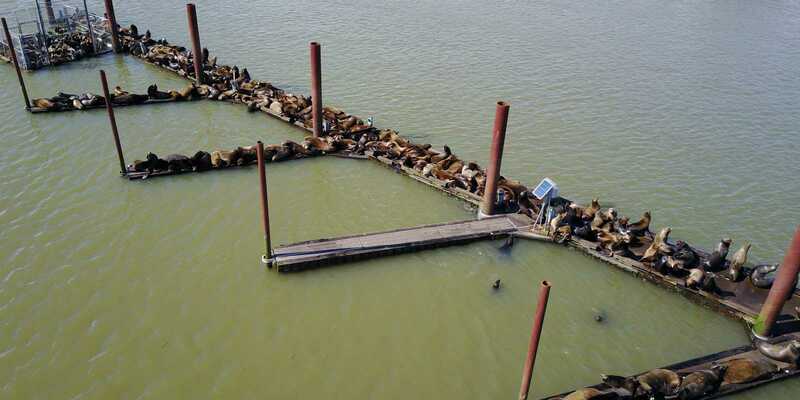 This 30-foot long system protects one of the fingers of the float that is a frequent haul-out spot for dozens of sea lions annually. 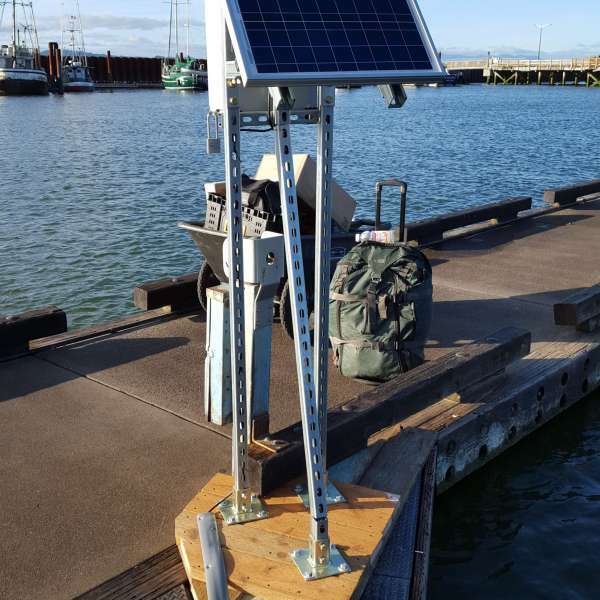 The system is fully independent of shore power; it is run on a 12-volt battery that is recharged by a small solar panel. 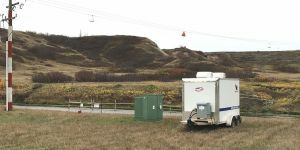 The system was installed and in use when commercial fishing boats moored at P Float in July and August 2016. 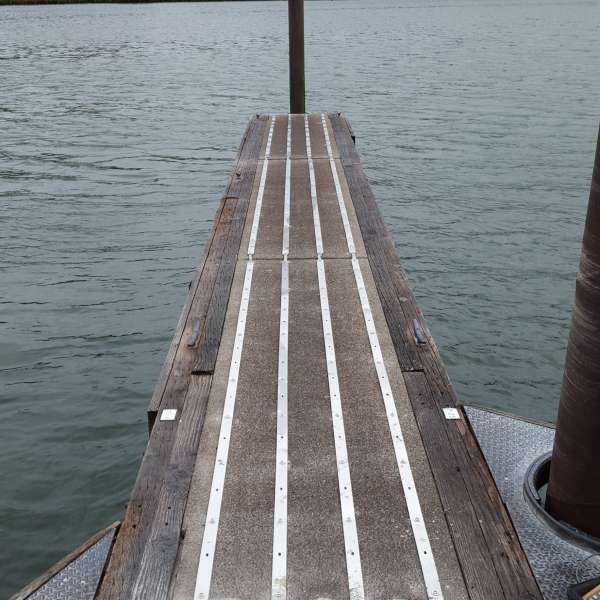 The boat operators and their customers and guests used the dock and the finger with the dock deterrence system installed without problems or disruptions to their business. 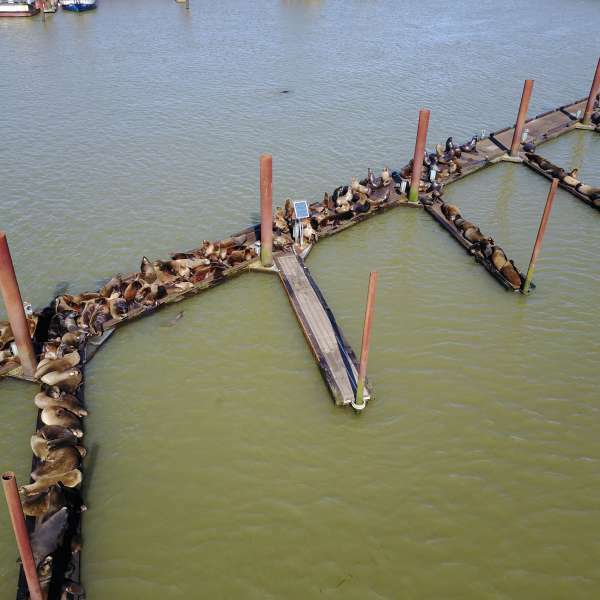 Upon their return to the East Mooring Basin in the late summer of 2016, the California sea lions occupied the main dock of P Float and all the fingers except for one with the dock deterrence system installed. 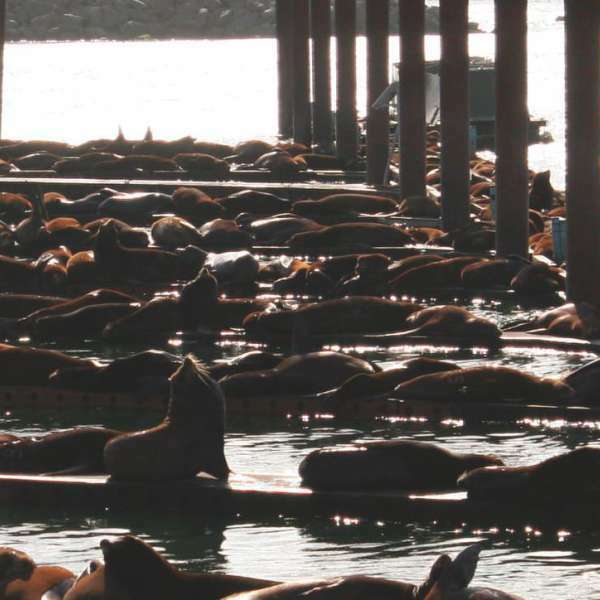 The system has proven to be a safe, non-injurious, and effective means to deter California sea lions from hauling out and resting on the dock. Close up of demonstration deterrence system electrodes. Photo taken during installation in July 2016. Close up of demonstration deterrence system solar panel. Photo taken during installation in July 2016. 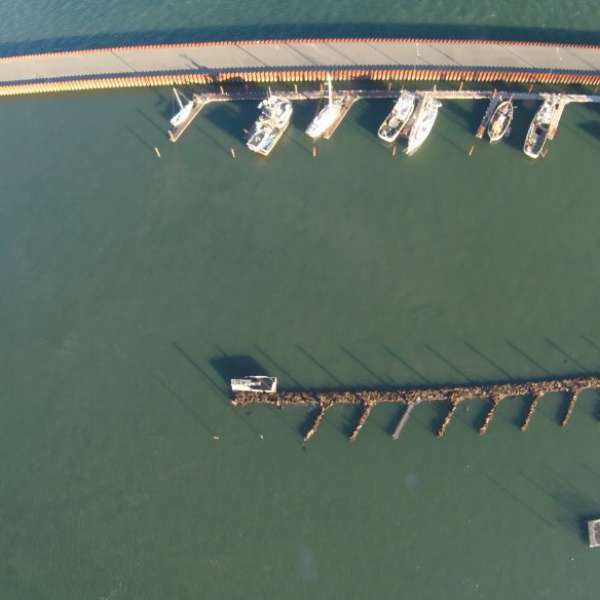 Aerial photograph of O Float. Finger with demonstration deterrence system is third from left. 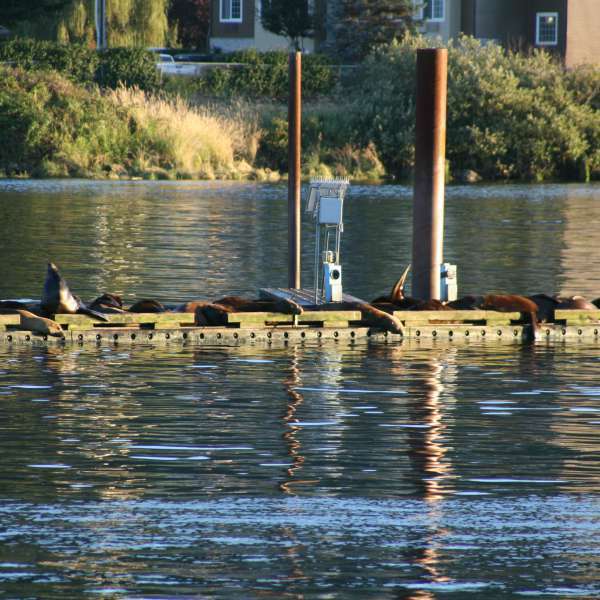 Sea lions on dock and adjacent fingers. Finger with demonstration deterrence system is in front of and to the left of the solar panel and is absent of sea lions. 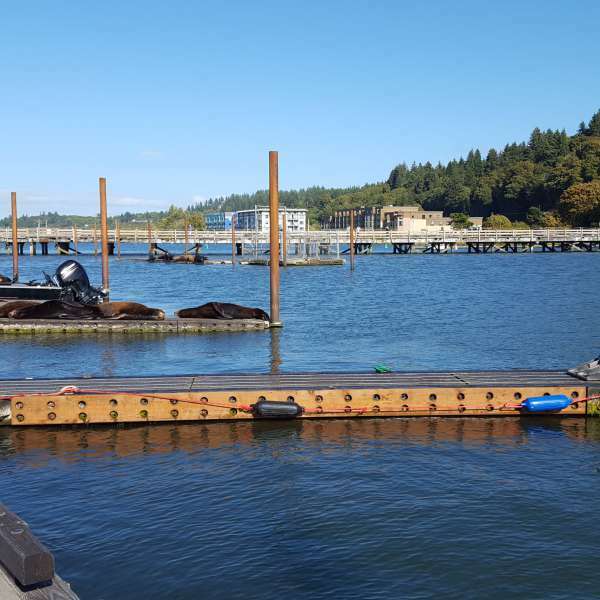 Sea lions on dock and fingers of O Float. Finger with demonstration deterrence system is 10th from the front without sea lions, and can be seen notably higher in the water than adjacent fingers. 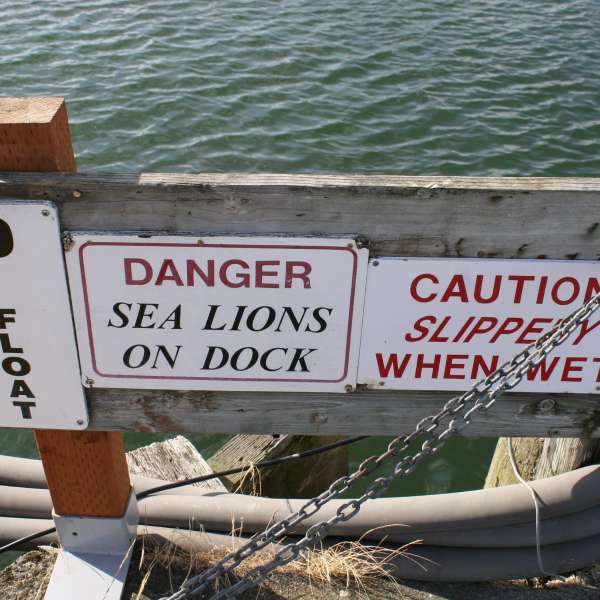 Sign at East Mooring Basin, Port of Astoria, Oregon. Close up of finger with demonstration deterrence system without sea lions. 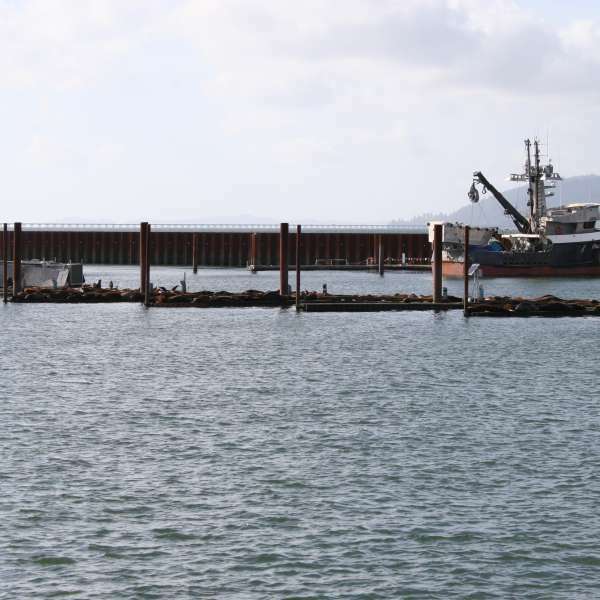 Sea lions are hauled out on the dock and adjacent fingers. Close up of finger with demonstration deterrence system without sea lions; note control box and electrodes on the deck of the finger. 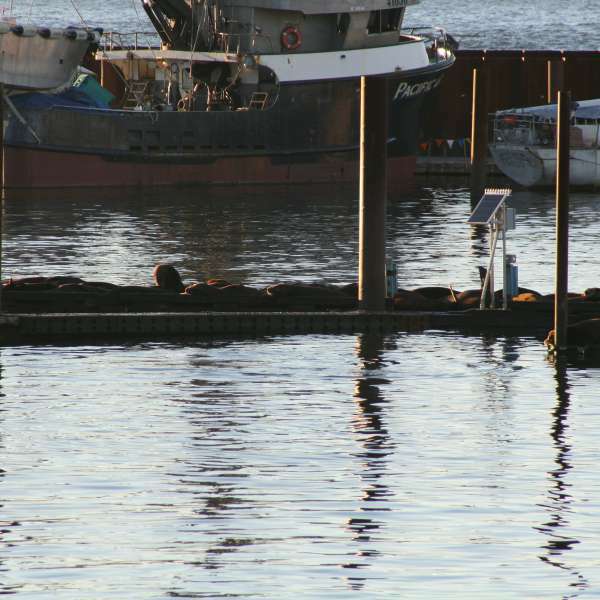 Sea lions are hauled out on the dock and adjacent fingers. 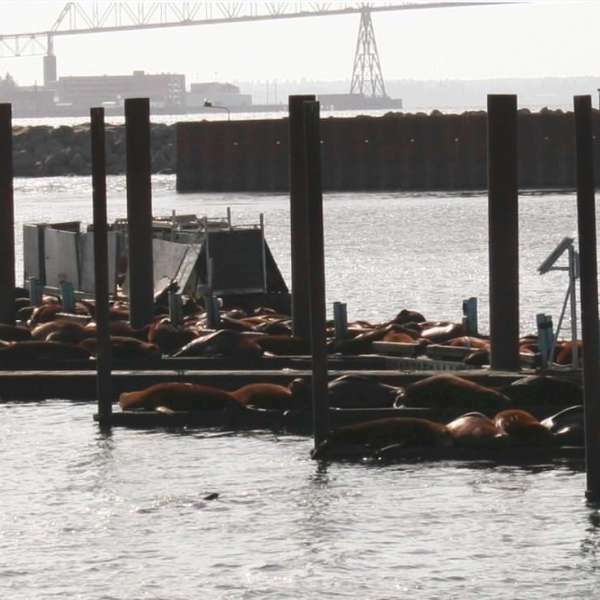 Close up of sea lions on dock and fingers of O Float. Finger with demonstration deterrence system is without sea lions and is notably higher in the water than adjacent fingers. 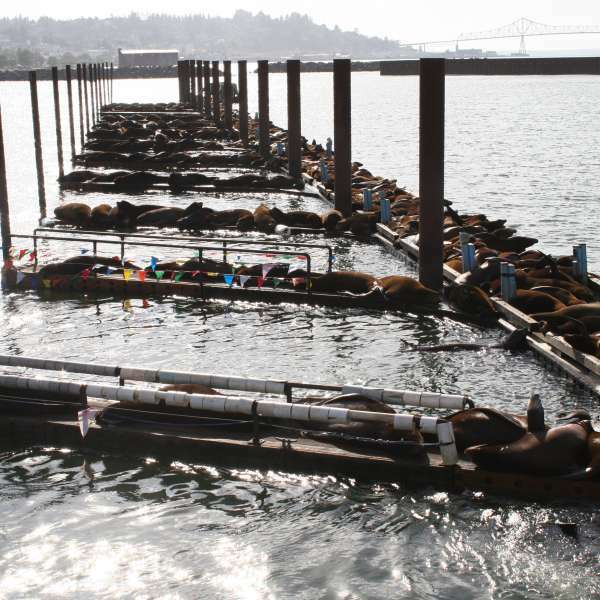 Close up of sea lions on dock and fingers of O Float. 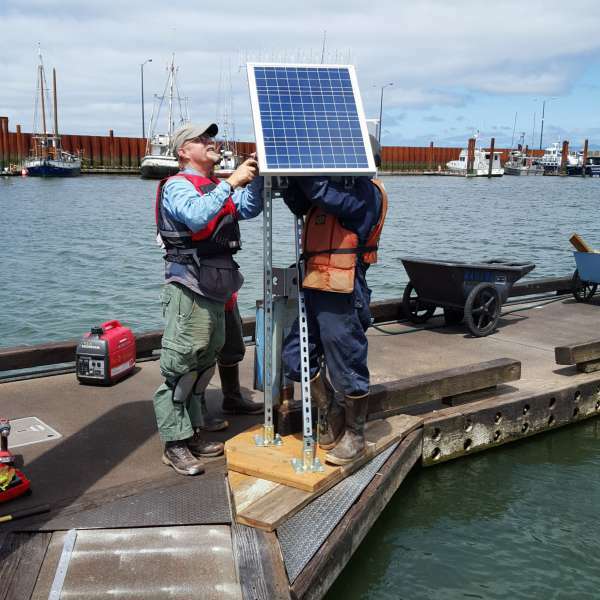 Finger with demonstration deterrence system is without sea lions and is to the left of the solar panel and notably higher in the water than adjacent fingers.